From center directors to work-study volunteers, there are many different ways you can help FPMT centers and projects – please have a look to see what jobs and volunteer opportunities are currently open. Interested in keeping in touch with Lama Zopa Rinpoche’s activities and those of the world-wide FPMT family? 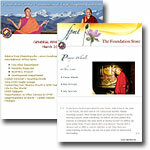 Receive the FPMT News including: updates about Lama Zopa Rinpoche’s schedule, information about FPMT Teachers and centers around the world, updates on FPMT programs, materials and translations, promotions from the Foundation Store, Mandala Magazine, and announcements about FPMT Projects. 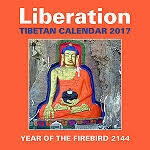 The Tibetan lunar calendar, courtesy of the Liberation Prison Project. Days are marked that are auspicious and inauspicious for various activities, and days that are favorable and unfavorable according to the combination of elements: earth, air, fire and water. These combinations impact on the effectiveness of one’s activities as well as one’s health. FPMT provides certain mantras as well as prayers and sutras as microfilm ready files for the use of FPMT centers and projects. 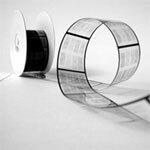 Microfilm is designed for the purpose of filling prayer wheels, stupas and statues with the most number of mantras, prayers or sutras as possible.